World-renowned artist and lecturer Rebecca Kamen held a series of workshops and lectures at the U of M last week. Kamen is the artist-in-residence at both the National Institutes of Health neuroscience program and the Computational Neuroscience Initiative at the department of physics and astronomy at the University of Pennsylvania. Kamen has worked with institutions including the Cajal Institute in Madrid and the Center for Astrophysics at Harvard University. She turns research in the field of neuroscience into artwork. 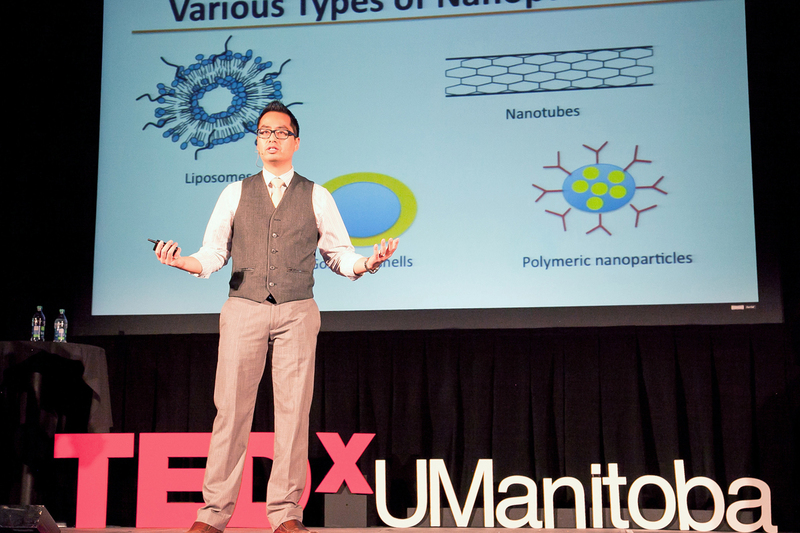 Kamen’s week at the U of M included visits to both the Bannatyne and Fort Garry campuses. The events were in collaboration with the faculty of science, the STEAM UManitoba initiative, the Manitoba Neuroscience Network and the Manitoba Craft Council. Her work focuses on connecting the sometimes-inaccessible world of scientific research with the somewhat more accessible world of fine art. “My gift is not only the discovery, but it’s being able to use my work to really share scientific discovery with wide audiences,” Kamen said. Kamen said she was not always sure she would continue within academia and go on to teach. She only learned in college that she was dyslexic, after struggling to get into post-secondary institutions. “When you’re not aware that you’re different or you learn differently, you just keep moving forward,” said Kamen. She added that her learning disability helped her not just in the field of neuroscience, but also to connect with students, some of whom have learning difficulties themselves. “At first it was an obstacle, it was very challenging and frustrating. But now, at my age, I’m able to look back and realize what an extraordinary gift that obstacle was,” Kamen said. Kamen added that her message to students who may be struggling with their post-secondary journey is to try and use their skills to uncover opportunities and a fulfilling career path. Kamen’s unique way of putting together projects and gathering information has proven helpful for the scientists she works with as well. Dyslexia “has informed the way I view the world,” Kamen said. 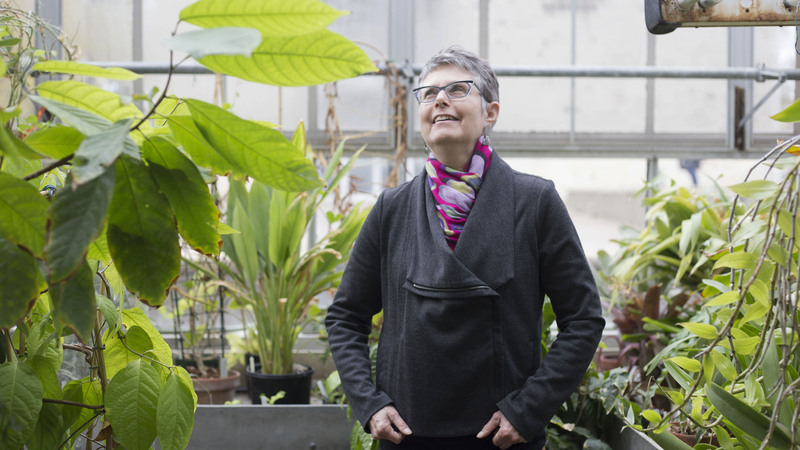 “And not only the way that I view the world, it helps scientists when I go to lecture in different communities to help them look at their research through a different lens,” she said. Her event series at the U of M ended with a lecture on Friday titled “Holding Einstein’s Brain,” an address inspired by a time she held a histological slide of Albert Einstein’s preserved brain. Kamen explained that the director of the National Museum of Health and Medicine in Maryland reached out and offered for her to hold the slide in exchange for delivering a lecture at its Medical Museum Science Café. Kamen’s interest in Einstein’s work has manifested in her art. Her 2014 art installation “Portal” was created in celebration of the 100th anniversary of Einstein’s discovery of general relativity. The installation included a visual interpretation of the tracery patterns of black hole orbits and the gravitational waves of black holes. A soundscape by Susan Alexjander accompanied the installation.